What’s the difference between a personal loan and a credit card? A personal loan is structured a lot like a mortgage – you apply to borrow money from a lender, typically in one large lump sum, then repay this amount, plus interest, over a period of time agreed with the lender. Credit cards offer a less structured, more flexible line of credit, where you can borrow as much or as little of the card’s available credit limit as you need. While credit cards do require minimum repayments, you’re otherwise free to repay your credit card balance at a pace of your choice. Credit cards often come with a number of interest-free days per month, after which you’ll only be charged interest on what you owe, and not the card’s full credit limit. When is it better to take out a personal loan? While your ideal credit option will depend on your own personal financial situation, personal loans are often the finance option of choice for borrowers in need of large sums of money up front for specific purposes (e.g. paying for a wedding or starting a business), that they can’t afford to repay all at once, and will instead need to repay gradually over time. One possible benefit of personal loans is that they are organised in advance. When you apply for a personal loan, you enter into a contract with your lender to repay what you owe over a predetermined length of time, so you should know exactly what you’re in for. This can be especially true if you opt for a personal loan with a fixed interest rate, where you can be confident that you’ll pay the same amount of interest with each repayment, and plan your household budget accordingly. The structured nature of personal loans can also be a downside to certain borrowers. Because lenders plan personal loans around a specific repayment schedule, borrowers may not have the option available to borrow more money on the loan if they find themselves in need. Some personal loans have specific credit requirements – for example, some low-interest personal loans are secured loans, and require the value of an asset (e.g. your car, equity in your home) to guarantee the loan. In these cases, you risk losing your security asset if you default on your repayments. Also, having a personal loan often means making a commitment to repay your debt over the course of 12 months or more. The longer it takes to repay a debt, the lower and more affordable your repayments will be from month to month, but the more interest you may ultimately pay in total. While several personal loans will allow you to make extra repayments to reduce your interest charges and pay off the debt early, you may need to pay early exit fees to make up for the interest payments lost to the lender, which could make the exercise more expensive than it’s worth. Having a personal loan currently owing in your credit history can also potentially make it more difficult to be approved for additional credit if you find yourself needing it during the term of your personal loan. When is it better to use a credit card? 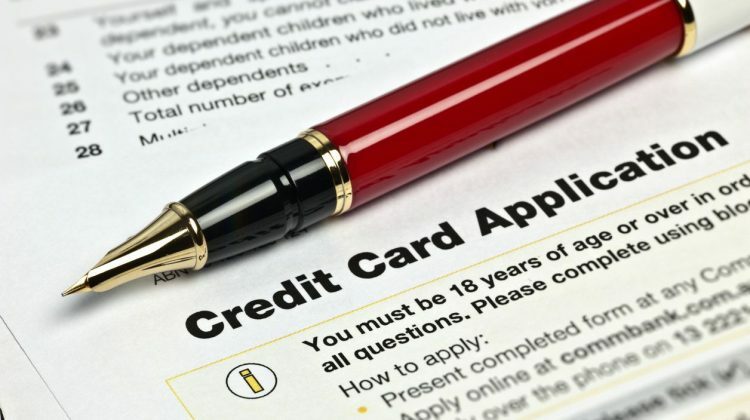 Credit cards are often the finance option of choice for borrowers looking for flexibility. Because you can borrow money from the lender in small or large sums as you need them, a credit card can prove useful for covering small or large expenses and paying for middling to major purchases. If these expenses are small enough that you can afford to repay them in a timely fashion (e.g. within your card’s interest-free period), you may not even need to pay interest on your credit card purchases. Also, selected credit cards (often Gold and Platinum-tier cards) offer a range of additional benefits, such as the opportunity to earn reward points that can be redeemed for cheaper flights, shopping, and other bonuses. Similarly to personal loans, the flexibility offered by credit cards can also prove to be a downside to certain borrowers. Because the minimum repayments required by many credit cards are often very low (e.g. around 2% of the balance owing), the temptation is there to spend up big on your credit card and just pay back what you’ve borrowed in the smallest possible repayments. How much of my credit card should I pay off each month? One issue with this strategy is that while credit cards offer a set number of interest free days (often 45 or 55 days from the start of each payment cycle, often monthly), if you don’t pay off your balance by the time these days expire, you could end up being charged interest on what you owe, potentially causing your debt to grow at a faster rate than you can afford to repay it. It’s also important to note that credit cards with more features, benefits and rewards (often Gold and Platinum-tier cards) are more likely to charge higher interest rates and fees as a result. This could mean that you end up paying more in fees and charges than the value you ultimately redeem in rewards and benefits. Payday loans, also known as cash loans, small loans, micro loans and short-term loans, are sometimes used as a short-term solution for cash-strapped individuals. They are amounts of up to $2000, with loan terms of up to a year, and have historically attracted very high fees. They have incurred the wrath of both government and lending watchdogs for the extraordinary amounts consumers have been known to repay. Sometimes it’s up to a few hundred per cent of the original borrowing amount. As such, they should be viewed as loans of last resort.